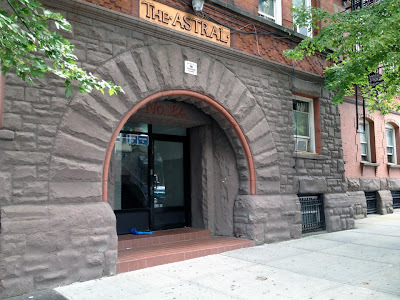 The Astral, one of the most prominent buildings in Greenpoint, was built in 1885-1886 by oil merchant and philanthropist Charles Pratt (1830-1891) for his workers. Designed in the Queen Anne style by New York architects Hugh Lamb and Charles Alonso Rich of the architecture firm Lamb & Rich, the building is constructed of terra cotta, brick and stone. Due to its innovative design and rich architectural heritage, the Astral Apartment building is considered one of the most important 19th century apartment houses in New York City by the New York City Landmarks Preservation Commission. Today the Astral is owned by Astral Apartments LLC and managed by a company with a sordid track record known as Pistilli Realty. Lamb & Rich was established in 1882 and designed many prominent buildings in the Northeast. 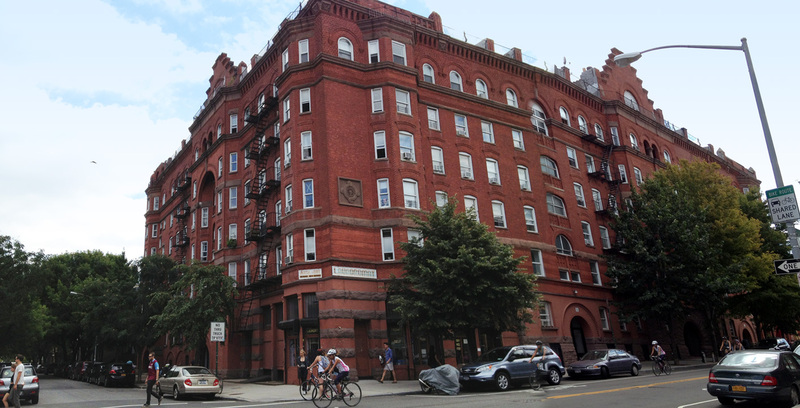 The firm only lasted four years; however, in that time they designed apartment buildings and row houses in Manhattan and Park Slope, Brooklyn, as well as many prominent colligate buildings at several universities. 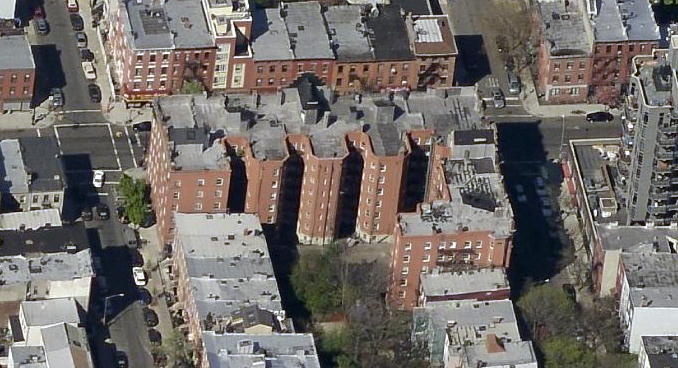 The firm's residential buildings were located on the Upper East Side, 5th Avenue, Yorkville, Greenwich Village, Mount Morris Park and Park Slope. Lamb & Rich's portfolio of colligate designs included structures at Dartmouth, Barnard, Williams, Smith, Colgate and Amherst colleges, as well as the Pratt institute main building. In 1857 Charles Pratt established Charles Pratt and co. crude oil refiners which owned the Astral Oil Works, the remnants of which are Bayside Oil located on the south side of Bushwick Inlet. In 1874 Pratt's business holdings were acquired by John D. Rockefeller's Standard Oil and Pratt continued his work for Standard Oil. When Charles Pratt died in 1891, he was one of Brooklyn's wealthiest residents, as well as one of Brooklyn's greatest philanthropists. Pratt's humanitarian efforts included the construction of schools, universities (including Pratt Institute), churches and worker's housing. The structure's ornate Queen Anne style façade has a rich texture and strong visual interest. The Queen Anne style uses wall surfaces as principal decorative elements. This is achieved by varying the depth and texture of building facades. 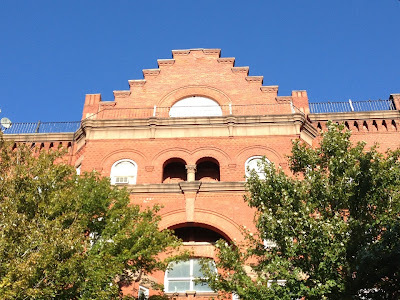 The facades depth and texture variation can be attributed to the brick patterns, window bays, rusticated stone bands, terra cotta ornamentation and recesses among other features. 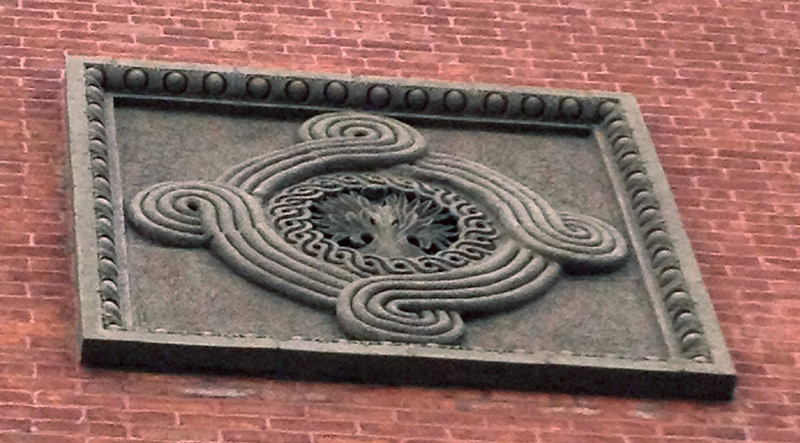 The building's impressive architectural detailing is not what made the Astral innovative though. The departure from the squalid conditions that existed in most worker's housing of the 19th century is what made the Astral a revolutionary building. Open stairs for ventilation, a scullery alcove in each unit with an adjacent room containing a toilet, a rear courtyard and bathrooms in the basement were all innovative new features for worker housing. Each scullery in the Astral had a wash tray with a sink that included hot and cold water, range, coal box, an ash shoot to the cellar and an exterior window to provide ventilation. 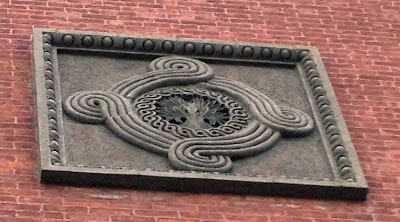 These features, although minor by contemporary standards were previously unprecedented in New York’s working class. The dominant arch pictured here is the main entrance to the Astral Apartments. Even though the building was designed in the Queen Anne Victorian era style, the bold arches employed as the building entrances of the Astral are also characteristic of the Romanesque Revival style which was frequently combined with the Queen Anne Style of architecture. Ironically, today the Astral which was an innovative departure from the poor conditions of worker's housing during the 1800s is now managed by a company with slumlord tendencies known as Pistilli Realty. I spoke with someone who used to live in the building a few years ago, and she referred to her apartment as "a charming shitbox". The apartments had insufficient heat, shoddy renovation work, and slow to no response from the management company regarding repairs. The issues with her apartment included drafty single pain windows, inadequate radiator facilities to maintain required temperatures, pealing paint and an unrepaired leak from above her unit. It is a shame when historic buildings are managed so poorly. It might be challenging to maintain a building with landmark status; however, regular maintenance and repairs do not require pre-approval from the Landmark's Preservation Commission. Moreover, landmark protection is typically applied to the exterior of buildings, so unless the interior is also landmarked, any interior work that does not affect the exterior or require a D.O.B. permit does not require pre-approval either. The commercial spaces that book end the ground floor were originally provided to defray the cost of rent for the workers who lived in the building. Something tells me that the commercial space now goes to maintain the profits of the building's owners. I was happy to come across your informative article, as Hugh Lamb was my great-grandfather. Carolyn, you're welcome and thank you for your comment. I am glad you liked the post. The Astral is a beautiful building.